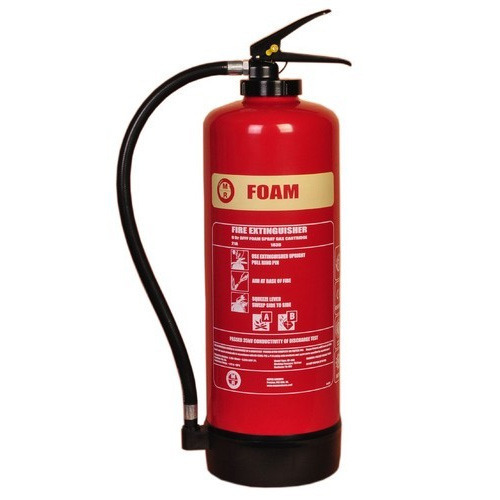 To cater the increasing requirements of patrons, we are offering the wide array of Foam Fire Extinguisher. As per the requirement of patrons, we are offering these products in various stipulations. We Commando Fire Protection Systems from 1992 are a highly famous organization of the industry involved in wholesaling and trading a broad assortment of best quality Fire Alarm System, Fire Extinguisher, Fire Sprinkler, Fire Protection Sprinkler System etc. Our provided products are manufactured at our vendor's ultra-modern processing unit. These products are highly demanded by the customers for their fine finishing, high-functioning, lightweight, super performance and longer service life. Also, these are widely used in various fields for fire safety purpose. We are also leading service provider of Fire Fighting System Installation Service.